The image was taken July 6, 2015, showing North and Central America. The central turquoise areas are shallow seas around the Caribbean islands. 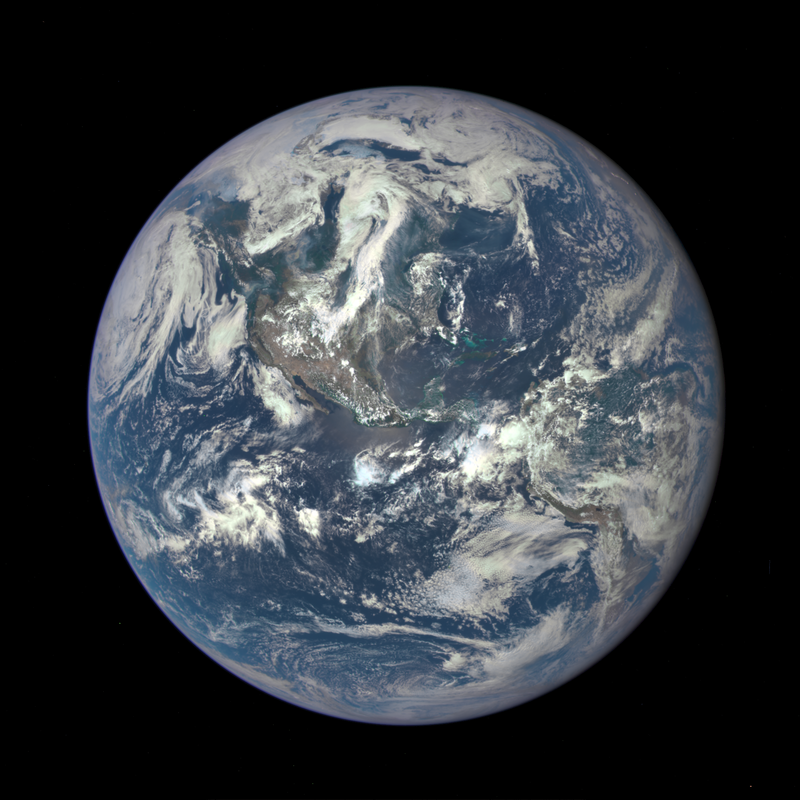 This Earth image shows the effects of sunlight scattered by air molecules, giving the image a characteristic bluish tint. Once the instrument begins regular data acquisition, EPIC will provide a daily series of Earth images allowing for the first time study of daily variations over the entire globe. These images, available 12 to 36 hours after they are acquired, will be posted to a dedicated web page by September 2015.